Retailers love the HDClear professional assistance. 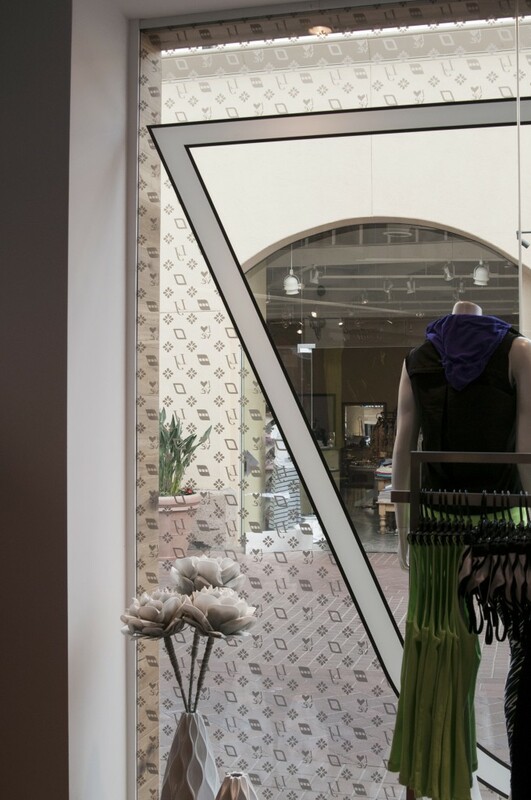 HDClear helps branding initiatives by providing single source production, single source installation & single source solutions for custom retail decorative window films and large format graphics. Solutions driven when issues with art, dimensions, or product changes occur. Products and service consistency, excellent record keeping and proactive communication. HDClear custom printing on glass clear films, high impact wall wraps, fine acrylics (with mounting hardware), backlit displays and POP paraphernalia, means one printer can meet the graphic elements across the entire retail location. HDClear retail decorative window films can face any direction and be mounted on either surface of glass. Retailers can now choose what surface they want an image on and by bringing the print inside the image lasts longer than if it is exposed to the elements. Money spent on longer lasting prints increases the flexibility of a retailer’s marketing budget. Quite a few retailers are hamstrung with the installation portion of graphics. Our installation network means professional, reliable service is an option to be taken advantage of. These installers see the bigger picture and understand corporate level branding efforts and construction supplied deadlines. The ‘can-do’ attitude is expected and our installation network ensures nation-wide picture-perfect installation of all HDClear graphic products. Solutions are important, especially when branding initiatives must bend to regional or environmental restrictions. Finding a way to promote an image or icon and effectively meet the location’s needs is part and parcel with the service we provide our retail clients. Translucent printing means slight obscurity which is excellent between public and employee areas. Opaque printing is often used to hide mechanical rooms and storage areas. Whatever the purpose, HDClear printing vibrantly moves the public in the direction the marketer wishes. Consistency, communication and tracking are the most critical factors when providing products and services to retailers. The most common departments we may interact with: Design, Marketing, Advertising, Planning, Construction, and Facilities. Our experience in the field, behind the computer and in front of decision makers promotes our professionalism. We know what each member of a retail team is dealing with and what kind of pressures each of these departments feel. We developed strong products and services to help your retail team deliver the best ‘look’!